The Department of Global Health and Social Medicine is pleased to present a seminar series. Sebastian Bauhoff, PhD, Professor of Health Economics, Pardee RAND Graduate School, and Associate Economist, RAND Corporation. Paying for Performance in Health Care: Empirical Evidence from Rwanda's National Program. Harsha Thirumurthy, PhD, Assistant Professor of Health Economics, Department of Health Policy and Management, Gillings Schools of Public Health, University of North Carolina at Chapel Hill. Economic Interventions to Increase the Effectiveness of Biomedical HIV Prevention: An Application to Male Circumcision Demand Creation in Kenya. Rebecca Thornton, PhD, Assistant Professor, Department of Economics, University of Michigan, and Research Affiliate, Population Studies Center, University of Michigan (title to be announced). Matthew Bonds, PhD, Research Associate, Department of Global Health and Social Medicine. Poverty, Disease, and Health Care Delivery: From Theory to Practice. All are welcome to attend the thesis defense talks, which will occur on the following dates (all talks will be in TMEC 109). Molly Franke, SD, has been promoted to assistant professor of global health and social medicine. Dr. Franke's research focuses on risk factors for adverse outcomes among individuals with HIV and/or tuberculosis and the identification of effective care delivery strategies for these patient populations. Congratulations, Molly! Bethany Hedt-Gauthier, PhD has been promoted to assistant professor of global health and social medicine. 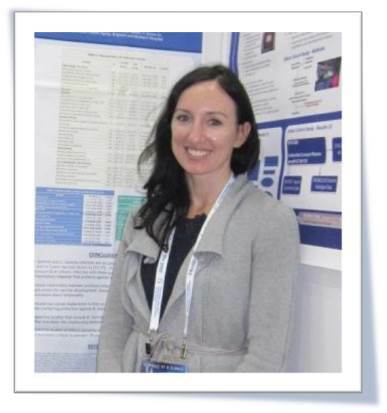 Dr. Hedt-Gauthier is a biostatistician notable for her innovation application, development, and evaluation of research methodologies toward improvement in the health of populations in resource-limited environments. Congratulations, Bethany! To coincide with World TB Day 2014, The Lancet published Incidence of multidrug-resistant tuberculosis disease in children: systematic review and global estimates as an early online publication. The publication estimates that one million children suffer from tuberculosis annually—twice the number previously thought to have TB—and three times the number that are diagnosed. Researchers also estimate that about 32,000 children suffer from MDR—TB every year. The Department of Global Health and Social Medicine at Harvard Medical School is pleased to announce and welcome three fellows to the program for the academic year 2014-15. Samuel Enuman (Johns Hopkins University) will conduct his research in Rwanda; Wilfredo Matias (Harvard Medical School) will conduct his research in Haiti; and James Miller (Harvard Medical School) will conduct his research in Uganda. 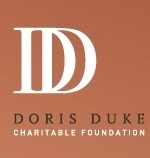 You can read more about the Doris Duke International Clinical Research Fellowship on our website. Would you like to learn more about the NIH requirements and processes for publishing your articles? Come and have your questions answered by a presentation and Q&A session with Scott Lapinksi, Digital Resources and Services Librarian at the Countway Library. The University of Haiti (Université d'Etat d'Haïti or UEH) has invited Dr. Leandre to develop a new department of global health and social medicine at the state medical school. The dean of the state medical school has appointed Paul Farmer, PhD, MD, as the honorary chair of this new department. Dr. Leandre will implement a program similar to the Master of Medical Sciences in Global Health Delivery at UEH. He will also teach a course based on the Case Studies in Global Health course (SW 25) at the school. The HMS Department of Global Health and Social Medicine will work with Dr. Leandre and UEH to share technical support, and curricula as they establish their new program. GHSM faculty will also teach some of the courses in the new department. Congratulations, Dr. Leandre! Shruthi Rajashekara and Melino Ndayizigiye, MD, were selected to each give a five-minute presentation at the first Master of Medical Sciences (MMSc) research day. The event was on Tuesday April 15, 2014. Shruthi spoke about her qualitative project looking at healthy food options in the Navajo Nation and Melino spoke on his mixed methods project on family planning in Burundi. The program featured talks from students in all the current MMSc programs at HMS: Global Health Delivery, Bioinformatics, and the Clinical Investigator training program. Susan Briggs, MD, associate professor of surgery, has recently been selected as president-elect of the Boston Surgical Society. Dr. Briggs will serve during 2014-15. Congratulations, Susan! N ancy Oriol, MD, associate professor of anaesthesia and lecturer on social medicine, was featured in a February 2014 segment on Chronicle. The piece was titled, “A Compassionate Visionary: Dr. Nancy Oriol—breaking boundaries between patients and medical care,” featured Dr. Oriol and her work with The Family Van. Congratulations, Nancy! Rebecca Weintraub, MD, instructor in medicine and in global health and social medicine, was selected as a 2014 Young Global Leader. Dr. Weintraub is recognized for her record of professional accomplishments, commitment to society, and her potential to contribute to shaping the future of the world through her inspiring leadership. Dr. Weintraub will become an active community member of The Forum of Young Global Leaders--a unique global network of peers from diverse backgrounds and fields, with a highly visible opportunity to significantly impact world affairs and shape the global agenda. Congratulations, Rebecca! Mobile Health Clinics in the Era of Reform, Caterina F. Hill, MSc; Brian W. Powers, AB; Sachin H. Jain, MD; Jennifer Bennet, BS; Anthony Vavasis, MD; and Nancy E. Oriol, MD. American Journal of Managed Care. In Press. Advanced Disaster Medical Response Manual for Providers, Susan M. Briggs and Kathryn H. Brinsfield. Available through Amazon and Cine-Med. Soft tissue manipulation for chronic low back pain: evaluating the promise of Structural Integration. Osher Center for Integrative Medicine. May 8, 4-5 pm, Shapiro Breakout Room, Shapiro Building, Brigham and Women’s Hospital. Structural Integration for chronic low back pain: a randomized open label clinical trial. Integrative Medicine & Health 2014. Consortium of Academic Health Centers for Integrative Medicine. May 15, Miami, FL. Srog rlung or gdon gi nad; schizophrenia or bipolar disorder? a case study of chronic psychiatric disturbance in an adolescent Tibetan refugee and family. Himalayan Studies Conference 2014, Translating Tibetan Medical Ideas Across Himalayan Communities. Yale University, New Haven, CT, March 14-15, 2014. "The Transformation of Sensibility and Subjectivity in the Twenty-First Century: Will the Human Survive." Presented on March 16, 2014 at Kyoto University. A lecture on caregiving was given on March 18, 2014 at the Tokyo Musashino Hospital. "Medical Anthropology and the Harvard Experience," hosted by the Society and Health Institute, South Asian Student Association, and the Department of Sociology and Anthropology at Thammasat University on March 21, 2014. "Harvard in Asia and Asia at Harvard," presented on March 21, 2014 at the Harvard Club of Thailand. "Moral Experience and Caregiving," presented on March 23, 2014 at the National Health Foundation in Thailand. Institute for Health Care Improvement (IHI) hosted a three-city Mobile Health Clinic tour (Boston, New York City, and Washington, DC), which started with a press conference in Boston (the Family Van presented) and ended in Washington, DC at the IHI annual summit where Dr. Oriol presented at a breakfast panel on Mobile Health Clinics. The conference titled, “Delivering Health with Mobile Health Clinics,” celebrated the benefits that mobile health clinics bring to improving health and health care in diverse communities.